I first saw this plant in New York in 1991 and waited impatiently for it to be introduced to Australia as at first it seemed it did not set seed for me to beg. 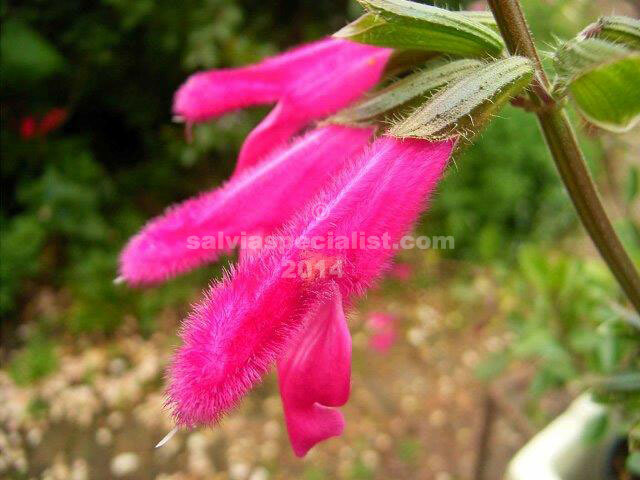 It has very pretty magenta tubular flowers and glossy dark green foliage. It was originally said that it is not found in the wild but now (2014) it seems that it has been, although not originally recognised as buchananii. Buchananii likes heat. Young plants will frost burn. I find it a not really reliable plant to grow and think it not the easiest for newer gardeners. It will do best with very good drainage. It is one of the parents of ‘Wendy’s Wish’ and has similar flowers in size and colour and is thoroughly reliable in a large variety of conditions though a much more bulky plant. Buchananii grows about 50cm high and suckers gently. It can be propagated by cuttings. I find it often sets some seed in autumn when there are plenty of bees.